The Ironman RB-12 – Durable. Affordable. Practical. The RB-12 meets every expectation of an Ironman tire––a practical choice that delivers affordability and dependability without sacrificing for either. 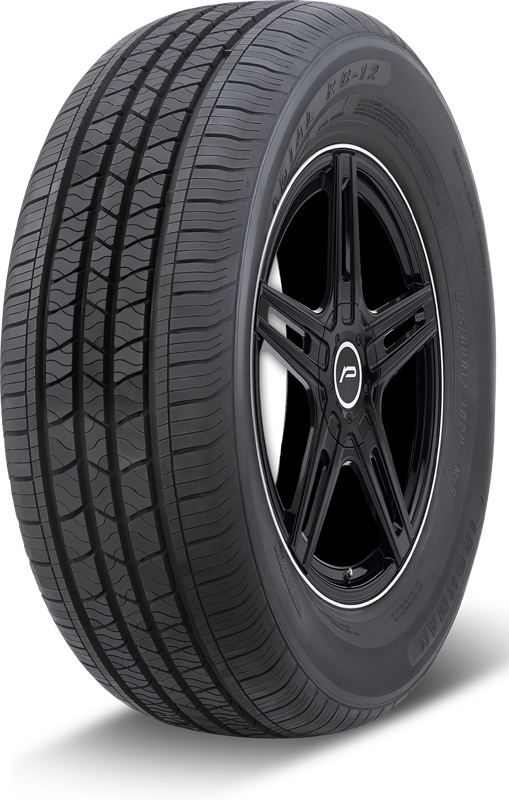 Its symmetric, five-rib tread design creates a larger footprint that increases stability and performance. Combine that with a noise-reducing design and a M+S rating, and the RB-12 becomes the tire of choice for a ride that’s all about comfort, in all conditions, all the time. Overall tire construction leads to increased hydroplane resistance. Variable tread design reduces road noise and delivers ride comfort. Slotted shoulders, moderate siping and wide grooves enhance water evacuation. Enhanced base tread compound promotes excellent durability and traction.